After getting tired of the incessantly annoying touts of Panglao beach ruining the beauty of Bohol, I decided to hop on a boat and head back to Cebu, to see the whale sharks of Oslob. Also, I had been traveling with two new friends I had met in Bohol, but after a couple days together, I felt the wind call out to me. 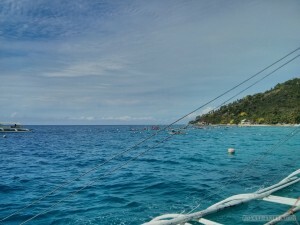 And so, I hopped on a boat from Panglao Beach, and headed back to Cebu, to the town of Oslob, to see the whale sharks. Usually, to get from Panglao to Oslob, you would have to head back to Tagbilaran, take a boat to Cebu City, and then take a bus down to Oslob. That would take quite a long time. 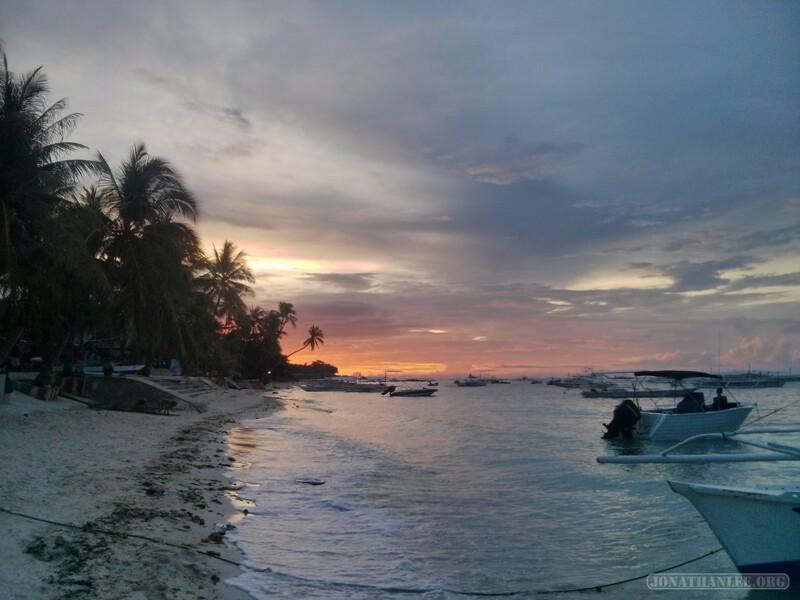 I found that instead, there are also boats that go out to see the whale sharks at oslob before returning to Panglao, so I just negotiated a one-way trip. It required waking up for the 7AM boat, but the morning sight was worth it. Of course, this being southeast Asia, we just sit on the boat for an hour and a half, waiting for…. something, before we set off. Eh. Most of us end up sleeping on the boat. 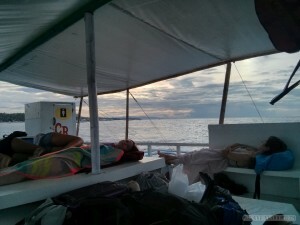 After a couple hours, we finally reach Oslob! 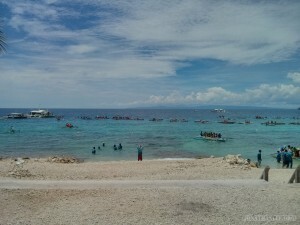 Before coming, I had heard a lot of great things about Oslob, about how it’s guaranteed to see whale sharks here every day, that these are whale sharks out in the wild. Which is true. What they don’t tell you, is that they’re here every day because they’re fed every morning. Not exactly wild, but close enough! So the way it works here is, after paying for a ticket, you can board a small boat to go out and watch the whale sharks – or, to swim with them! Most people just choose to float on the surface looking down (which is quite nice in itself), but since I had some freediving training, I was able to dive down to the bottom (not so deep, maybe 10 meters? ), and look up at the whale sharks. It’s a sight that I’m never going to forget. The whale shark, a dark silhouette on the light blue waters. Remora (sucker fish) swimming in formation along the belly of the whale shark, like helicopters hovering an aircraft carrier. Sunbeams shining down through the crystal clear waters, perfectly framing the whale shark and its entourage. When you watch National Geographic documentaries, you see these amazing scenes and wonder, is this real? You go travel yourself, and see scenes that are almost good enough to be on National Geographic. But occasionally, when your timing is just right, when the stars are aligned in your favor, you’ll find a scene that surpasses everything else. 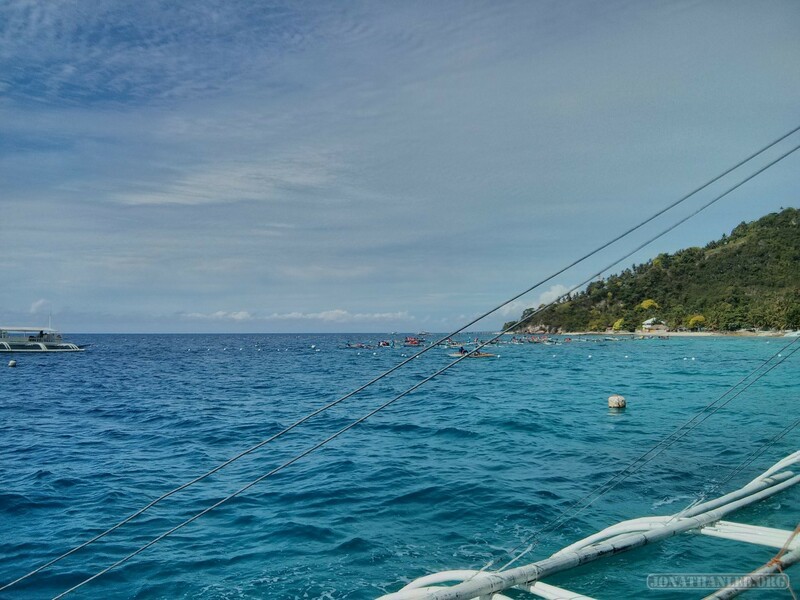 And that was my experience here, freediving with the whale sharks at Oslob.